There are 4 reviews of Eau Parfumée au Thé Bleu. About 20 years ago Guerlain released a beautiful Aqua Allegoria, Lavande Velours, based around an accord of lavender and violet. I find The Bleu to be Bulgari’s take on the same general theme, which is a good one, and it is sleek and restrained where the Guerlain was more plush and euphoric, as you’d expect. As much as this may seem to be an appealing hot weather frag, I find that it falls apart on a really hot day and leaves you with only a thin and persistent synthetic-smelling musk/iris drydown that’s not unlike Infusion D’Iris. That is the aspect I like least about The Bleu, so I wear it when it’s less than 90 degrees out in order to enjoy the other notes. It opens with more (fresh) juicy ginger than I expected, and that, combined with the especially fine texture of the spray mist, make it a real pleasure to reapply often. And reapplication is necessary to get a full experience of it again after a couple of hours, though the drydown lasts, close to the skin, for the better part of the day. If someone were to ask me to describe Eau Parfumée au Thé Bleu, I would tell them that it is a starched iris and orange blossom with a heavy hit of spices and tea. The first opening of Bleu is hard-hitting and even abrasive, but to me, it is one of the most gorgeous orange blossom compositions I have ever sniffed. The juxtaposition of the suntan lotion with intense chai spices is intriguing. Typically, spiced tea accords are paired with sweet, creamy vanilla, so the aforementioned combination is rather unexpected. The base of the fragrance is similar to the clean, starched iris found in Infusion d’Iris by Prada, but the effect is almost hot and dry instead of cold and metallic. 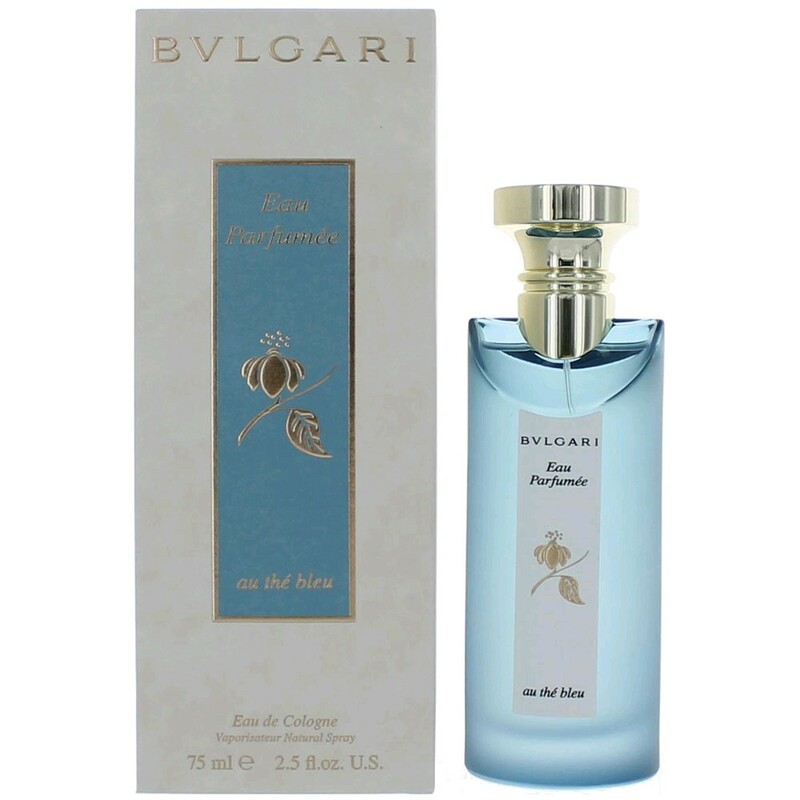 Overall, I am impressed by the Bulgari Eau Parfumée line and would recommend it as an outstanding example of tea-based fragrances; although, I would wear Bleu while in the mood for iris or orange blossom, not tea. Note: there is definitely a lavender accord kicking around, but I typically have a tough time picking out lavender—it appears and disappears, darting in and out of the cloud of iris and white musk. Probably the only decent flanker to the original The Vert, The Bleu is a spicy (cardamom, ginger) addition to the line. I can't say it's terribly fascinating, but it's decent. I'm actually quite surprised it's penned by someone other than Jean Claude Ellena - it harks back to several of his scents (besides the obvious). A bit of Voyage d'Hermes, some Jardin Apres un Mousson, maybe even some Caleche Eau Delicate (not sure who created this one). Good, more oopmh than the original, but nothing groundbreaking. I don't catch any iris or lavender, as advertised. Violet, however, takes centre stage. Edit - I get the iris now, and I can't help but think of Prada's Infusion d'Iris (same perfumer). There's some lavender, but it's been stripped of all astringency. ps - Eau Parfumee au the Noir has finally hit shores and it adds a new oomph to the line. Buying a bottle very soon. Eau Parfumee Au the Bleu by Bvlgari, 2.5oz/75ml Eau De Cologne Spray Unisex NIB! There are no member images of Eau Parfumée au Thé Bleu yet. Why not be the first?